Every state has slightly different laws when it comes to criminal prosecutions. Even laws in the local area can vary. That means that having a local attorney who knows the state and local laws as well as the judges and other lawyers in the area is extremely important. Effective Miami Criminal Defense Lawyer know that these connections and knowledge are the key to a successful defense. Although it may be tempting to just use a public defender when funds are tight, The Hansen Law Firm knows from the experience that public defenders are often stretched far too thin to present your best possible defense. They lack the time and resources to fully invest in your case in most situations. Instead, having a private Miami criminal defense lawyer who has the experience of a public defender is your best option. 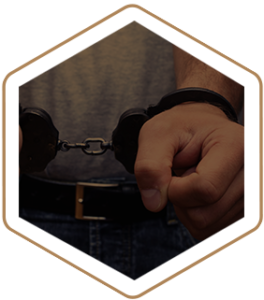 The Hansen Law Firm offers this unique combination of experience, knowledge, and resources to help you or your loved ones with a variety of state criminal charges. While state and federal criminal laws often overlap, there are many state charges that have no real federal counterpart. Because of this, your state criminal defense attorney should have an intimate knowledge of the requirements under state law for each charge. The State of Florida will have to prove each and every element beyond a reasonable doubt for a criminal conviction. An effective Florida criminal attorney will challenge this evidence at every available opportunity. At The Hansen Law Firm, our state criminal defense services include the following charges. Assault. The crime of assault can be very simple. It is an intentional threat made by one person to another that creates a reasonable fear that violence or harm is about to occur. Battery. Battery is the actual harm imposed on another person. It is an intentional act that is against other person’s will. Assault and battery charges are often paired together. Drug Charges. Possession of certain illegal substances is a felony in Florida. Possession with an intent to distribute can be a much more serious charge as well. Trespass. Trespass is the act of entering another person’s property without permission. It is sometimes committed in addition to other crimes like burglary or robbery. Disorderly Conduct. Disorderly conduct under Florida law is also synonymous with “breach of the peace.” It is defined as corrupting public morals or outraging a sense of public decency. It often includes violence or fighting. Disorderly Intoxication. This charge occurs under Florida law when an intoxicated person has endangered or could endanger the lives or safety of others. Theft. Any intentional taking of property from another person or business is considered theft under Florida law. Criminal charges in Florida all follow a similar outline or progression. First, a police officer must have probable cause to arrest or detain you. Probable cause is a legal term that essentially means that the officer has good reason to believe that you have committed a crime. This is usually established by either witnessing an action or gathering evidence of particular crime. Sufficient evidence could include something as simple as a witness statement. Booking. After the accused is arrested, then they are “booked.” This means that an individual will be photographed and someone will take their fingerprints. The booking agent or officer will also ask simple questions like your address and birth date to ensure that they have arrested the right individual. They will also run a criminal background check as well to determine if you have any prior arrests or other criminal history. Initial Appearance. In Florida, suspects are required to go before a judge within 48 hours after the arrest. The judge will set bail and ensure that the arresting officer had probable cause for the arrest. You have a right to the Florida criminal attorney at this point, and the judge will inform you of that right. It is at that time that The Hansen Law Firm should be involved to help with your charges. One of the things that our state criminal defense team may do is challenge the finding of probable cause at your initial appearance. Arraignment. After the initial appearance, the Court will hold an arraignment hearing within 30 days of the first appearance. This is where you will plead guilty or not guilty. You can also plead no contest as well. The Hansen Law Firm will help you with what you should do at this point. How you plead will be extremely important to the progression of your case. You may also end up entering a plea agreement, requesting a preliminary hearing, or going to trial after your charges are fully explained to you. Regardless of how your case progresses in your unique situation, a state criminal defense lawyer is an excellent asset. The Hansen Law Firm can explain the process to you and suggest your next steps to build your best defense. Contact us today at (305)-760-4393 to schedule an appointment.